Flip came to the United States from Cuba as a baby. He graduated from Coral Park High School. He had a great love of the outdoors. One of his favorite pastimes was being in the ocean fishing for sharks. He was an avid hunter and enjoyed hunting from his swamp buggy in the Big Cypress National Preserve. 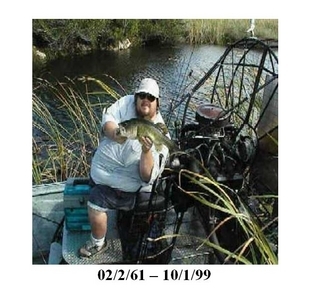 He also spent many hours in the woods on his airboat bass fishing. He had many friends, from all walks of life, who will miss his unique laugh and his giant heart. He is survived by his brother Tony and his mother Berta.